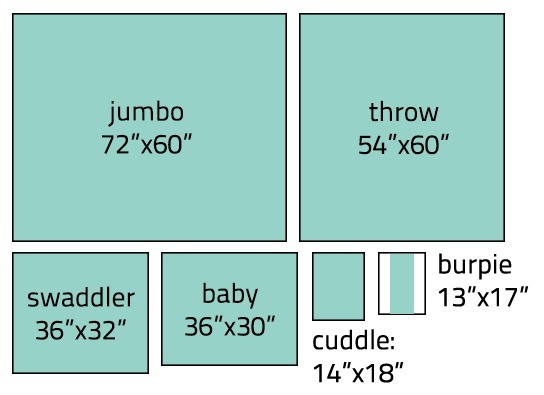 In trying to figure out what size I ultimately wanted my Baby Blanket to be I did some research on standard mattress, sheet, blanket & comforter sizes. I know I've done this before but I can't find the papers so I'll put it here so I can find it again. Flat sheet measurements are from bedding industry standards. Everything else is sort of an average that seems about right. Crib blankets & receiving blankets seem to have the biggest variances - there's pretty much every size possible available. I listed the most prevalent. Mattress depths vary widely be manufacturer. 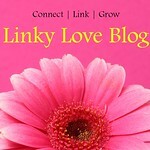 Measure the depth of the mattress before designing the blanket/quilt/comforter. Standard & older mattresses average 9 - 12", while newer pillow-top mattresses are 14 - 16" deep and up. These deeper mattresses obviously rquire more depth & width to cover the mattress completely. Be especially careful about making covers for very fluffy comforters such as down-filled. They tend to puff out the fabric, so there is much more area to cover than the dimensions listed on the package. Take several measurements of the comforter after it has been fluffed to decide how big to make the cover. If you're making a blanket using squares, in addition to figuring out what size you want you'll need to calculate how many squares to make. I've written up notes on the process I use to figure out how many granny squares you need here. TWIN: mattress top is 39" x 75"
Twin flat sheet: 66" x 96"
Twin Blanket: 66" x 90"
Twin Comforter: 69" x 90"
Extra Long Twin Flat Sheet: 66" x 102"
Extra Long Twin Blanket: 66" x 95"
FULL/DOUBLE: mattress top is 54" x 75"
Full/Double Flat Sheet: 81" x 96"
Full Comforter: 84" x 90"
QUEEN: mattress top is 60" x 80"
Queen Comforter: 90" x 95"
KING: mattress top is 76" x 80"
King Comforter: 106" x 98"
CALIFORNIA KING: mattress top is 72" x 84"
California King Flat Sheet: 102" x 110"
Receiving Blanket*: 23" x 23", 24" x 24", 29" x 32", 30" x 36" or 36" x 36"
Stroller Blanket: 30" x 40"
Small Cradle Blanket (mattress is 15" x 33") 15" x 30"
Large Cradle Blanket (mattress is 18" x 36") 18" x 33"
Crib Blanket (mattress top is 28" x 52"): 28" x 42" or 30" x 40" or 36" x 42" or 36" x 46"
Infant - 2 years: 24" x 30"
2 - 6 years: 30" x 36"
7 - 11 years: 36" x 42"
12 years and over: 48" x 60"
* Receiving Blankets: I've seen lots of discussion on receiving blankets. 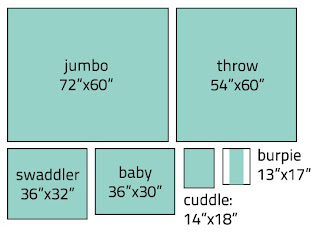 Most people seem to think 23 or 24 inch squares are perfect for newborns, as there isn't too much fabric to manage. 29" x 32", 30" x 36" or 36" x 36" are the sizes most often made by manufacturers that are available in stores. Blanket Sizes (approximate) For preemies, blankets without ‘holes’ are best. Please post a comment if you have suggestions or real-life experience with any of this! I'm so glad you did this. I have different places bookmarked for all this information and keep meaning to write it all up to post on my own website..but I never have! Your information is so complete! 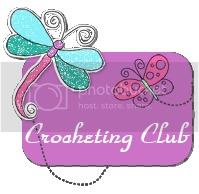 I would like to publish it on my website www.crochethappy.com ..credited to you and linked back to this page. Can I have permission to do that?